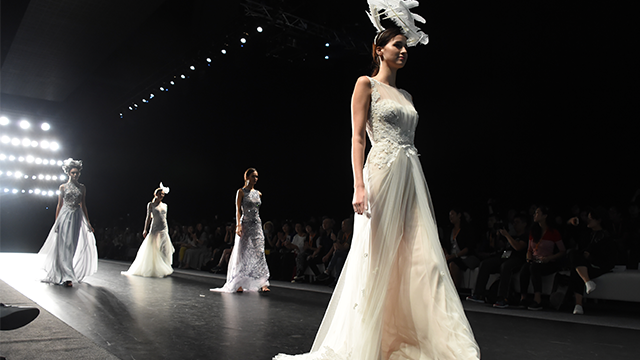 An international fashion trade show called CENTRESTAGE, showcasing around 200 fashion brands from around the world, debuted in Hong Kong with the participation of 8,300 buyers from 71 countries and regions. Almost 40 percent of buyers reportedly came from Asia other than Hong Kong, reflecting a robust Asian fashion market. 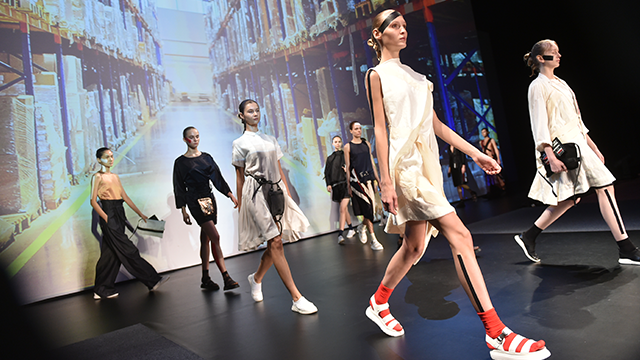 CENTRESTAGE is the Hong Kong Trade Development Council's (HKTDC) new fashion brand promotion and launch platform, debuting in a four-day run last week from September 7 to 10. HKTDC is the international marketing arm for Hong Kong-based traders, manufacturers and services providers. The council organizes international exhibitions, conferences and business missions to provide companies, particularly small and medium enterprises, with business opportunities on mainland China and in overseas markets. 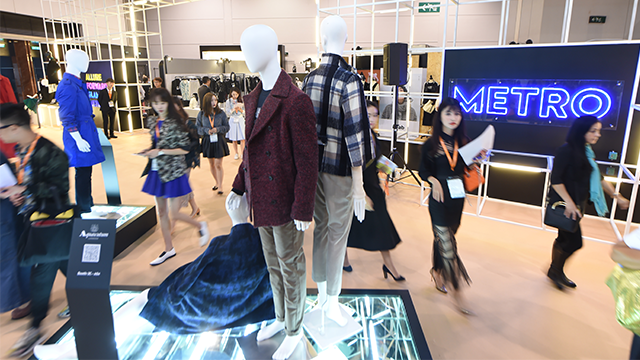 To better understand the fashion industry players' views on the outlook for the sector and product trends, the HKTDC commissioned an independent market research agency to conduct on-site surveys during CENTRESTAGE, interviewing some 270 exhibitors and buyers. The survey found that most respondents are cautiously optimistic about overall sales in 2017. Nearly 60 percent of respondents expect overall fashion sales in the coming year to remain steady, while 27 per cent expect overall sales to increase. Thirty-three per cent of respondents anticipate production costs or sourcing prices to rise, but 65 per cent of respondents said they would not increase the FOB (free on board) price or retail price, indicating that the industry is generally reluctant to transfer the increased costs to customers or consumers. In terms of markets, the respondents expect Hong Kong, Japan and Korea to have the best growth prospects among traditional fashion markets in the coming two years, while 60 percent of respondents consider the Chinese mainland to be most promising among emerging markets. The survey also explored product trends of the fashion industry. 60 percent of respondents consider women's wear to have the best growth potential, followed by men's wear and kids' wear. Almost half of the respondents have engaged in e-tailing (electronic retailing), selling mainly women's wear (69 percent), casual wear (41 percent) and fashion jewelry (12 percent). A number of trend seminars were held during the event. Michael Leow, Asia/Pacific sales and marketing head for Fashion Snoops, said "Nowstalgia" will be a key trend in the coming year. The trend blends nostalgic and contemporary elements while incorporating the convenience of modern technology. In another seminar, Erica Ng, WGSN's senior editor, said that millennial lifestyle is transforming traditional retail. Retailers will need to find synergies between mobile apps, online shopping, physical retail and social media to effectively capture market share of this generation. The survey also found that almost 90 percent of fashion buyers consider Hong Kong trade shows a major channel to contact new suppliers. At the same time, 92 percent of exhibitors use Hong Kong trade shows to find new buyers. Buyers were able to get in touch with new and various Asian brands all throughout the event. These buyers range from European department stores to Asian fashion boutiques and electronic retailers. La Rinascente, a long-established high-end department store group in Italy, participated in CENTRESTAGE to explore business opportunities in Asia for the first time. "CENTRESTAGE is a platform to find new brands and understand the fashion industry in Asian markets," said Andrea Bonecoo, buying anager from the store group. "The business matching service introduced Hong Kong's I.T Group to me. We will communicate further to study future business cooperation. This show is the start of our effort to get to know more about Asia." Indonesian fashion boutique, Lucy House, joined CENTRESTAGE to source more new brands for its customers, according to Lucy Kurniawan who operates the company. "This visit has generated good business opportunities," she said. "I am now negotiating with a Hong Kong designer for the evening wear collection. An initial order would involve about 100 pieces in different styles." Fida Alkaud, a buyer from Harvey Nichols Riyadh, Saudi Arabia came to CENTRESTAGE to look for contemporary evening wear. She reports to have found new brands which suit the tastes of their customers, namely Marquess & Homa, Guy Laroche Furs, Shelina and Camelia. Representatives of Meili Inc., one of mainland China’s largest fashion e-tailing brands, found new brands as well and explored cooperation opportunities. "I found a Hong Kong designer and a US brand offering some suitable products to sell on our website. I have also identified four fashion brands from Thailand and will be in further discussions with them," said Margaret Yao, business cooperation director for Meili. Korea would not be left behind as its very own Lotte, the country’s biggest department store operator running 40 stores across Korea, also discovered new brands catering to the trendy sportswear market. "People in Korea love sports and outdoor activities, so demand for related fashion items is very strong. So far, I've identified two brands from Hong Kong. CENTRESTAGE is an interesting show where I can see a variation of trendy designs from many countries. I will come again to find more new brands," said Hyeon Ji Sun, buyer for Lotte. The Philippines was represented by Cebuano designer and Project Runway alumnus Yves Camingue with a collection called Camp Kinnari, and Bacolod fashion designer Jian Lasala through his fashion company Le Maison de Lasala. Both designers presented their 2017 spring/summer collections, with Camingue's metallic jackets and Lasala's sparkling gowns as standouts.